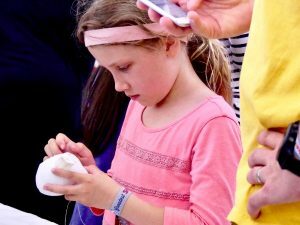 The 12th Annual San Mateo Maker Faire 2017 was held in May. San Mateo, California is the birthplace of 150 Maker Faires worldwide. It was where Makers, Exhibitors, and kids were going to collide. I love seeing kids so excited to learn new things and see their surprised yet supportive parents. 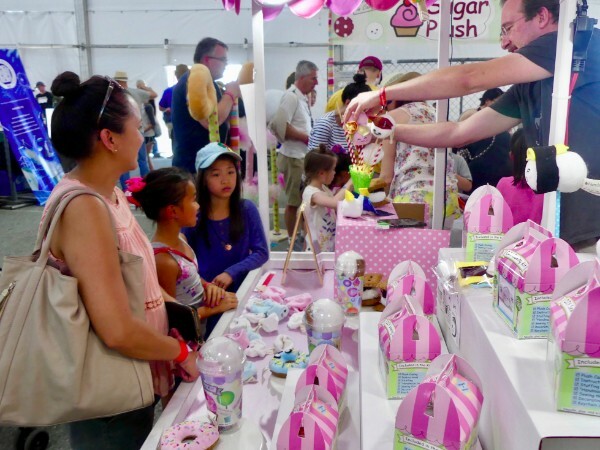 San Mateo Maker Faire – The Roundup! The imagination, design, futurism, out of the box thinking was mind-boggling. I hardly know where to begin. There are so many ideas I want to share with you. One blog post will not cut it so I am going to dish it out it in chunks as part of a series. Mobile Maker (Space) Ship: I took a tour of the incredible Mobile Maker (Space) Ship from the San Jose Public Library. I had heard about the collaborative community process the library went thought to design the space, but I hadn’t seen it yet. 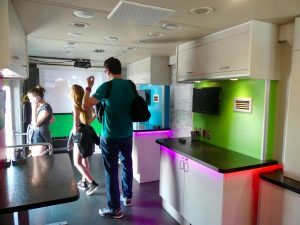 The truck gives students access to tools that wouldn’t normally be in their neighborhood, for example, 3D Printers, microscopes and laser printers. You can see a virtual tour here. 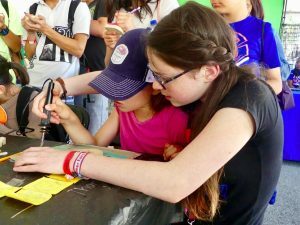 If you would like to build a Makerspace Truck in your community, visit the SparkTruck resources site for some very specific tools and lists to get started. 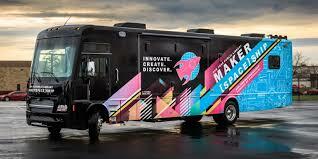 The mobile makerspace is a brilliant idea and a great way to take the maker space experience to so many more people. 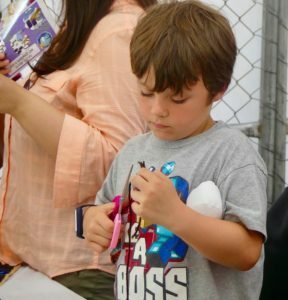 Sugar Push Sewing Kits: Boys and girls were eager to sew their own plushies at the Sugar Plush maker stand. They had fun, customizable DIY sewing kits for sale that looked like they would work well for birthday parties, and children’s gifts. 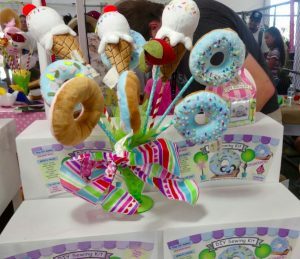 The designs are very unique and included stuffed donuts, S’Mores, and ice cream cones. The kits cost between $12 and $40. Considering the cost of this type of toy in the store and the student gets to learn sewing techniques, this is a good price. When picking hands-on projects for children to do, it is important that they are excited about it (not just the adults), so I looked for booths where there were lots of kids, and this was one of them. A note of caution, almost all of the kids were working one-on-one with an adult, so this probably isn’t a project for a classroom full of novice sewers. They would be great Christmas gifts if grandma or grandpa were willing to work with their grandchild to complete the cute stuffed toy. These are just two examples of the many exhibits at the San Mateo Maker Faire 2017. More to follow. Watch this space.